Al-Qaeda claims responsibility for the attack whose purpose was to terminate “the most precious American asset” in Pakistan. Another 20 people die in the blast. A few hours earlier another attack involved supporters of former Prime Minister Nawaz Sharif. 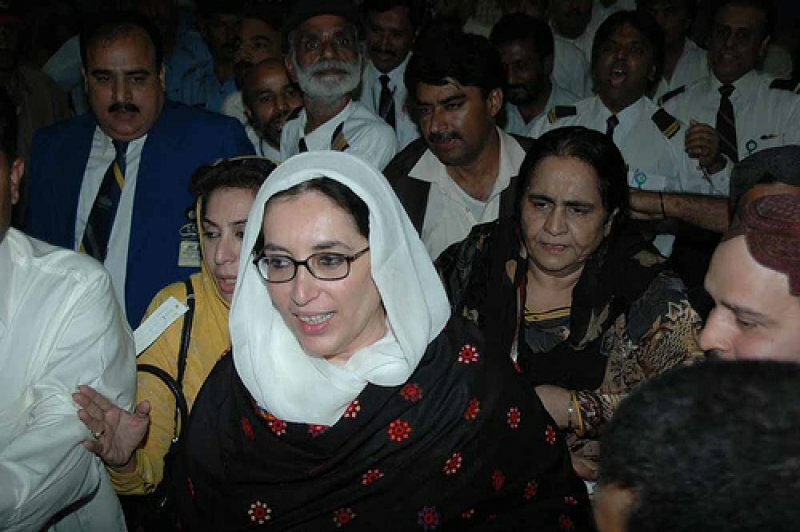 Rawalpindi (AsiaNews/Agencies) – A few hours ago a suicide attacker killed Benazir Bhutto, leader of Pakistan People’s Party and the dominant figure in the country’s opposition, who had returned home just a few weeks ago after a self-imposed exile of eight years. Another 20 people were also killed in the attack with another 30 or so wounded. Former Interior Minister Aftab Ahmed Khan Sherpao confirmed the news saying that al-Qaeda claimed responsibility for the act. According to early reports, the suicide attacker shot at Ms Bhutto before blowing himself up. Initially it was thought that she was not hurt like in the October attack in Karachi. Soon afterward her husband, Asif Ali Zardari, announced that she had been seriously wounded (probably from gunshots). A few minutes later came the news that she was dead. “We terminated the most precious American asset which vowed to defeat [the] mujahadeen,” Al-Qaeda’s main spokesperson Mustafa Abu al-Yazid (aka Sheikh Saeed) told a news agency by phone. The order to kill Bhutto came from Ayman al-Zawahiri, Osama bin Laden’s second-in-command. A few hours earlier in another attack also in Rawalpindi supporters of former Prime Minister Nawaz Sharif, another prominent opposition leader but who cannot run in the election, were targeted. From a building near the rally armed men opened fire on a crowd of his supporters, who blamed militants from President Musharraf’s party, the Pakistan Muslim League-Q, for the shooting.